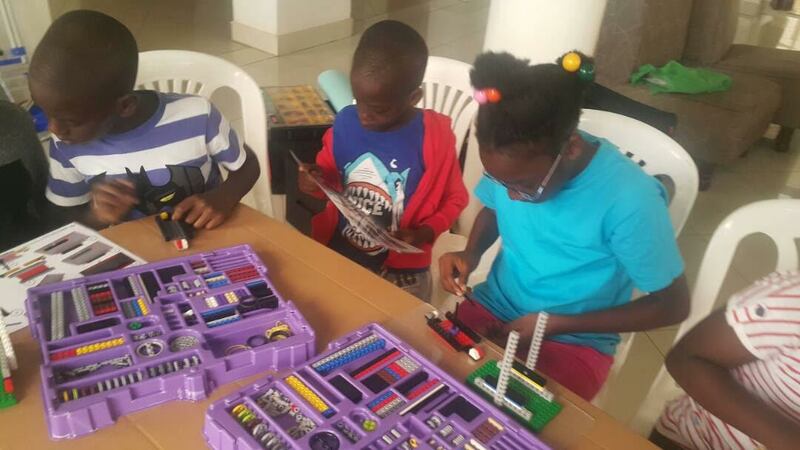 As the e2 Young Engineers spreads like wild fire, two centres have been opened up in Kampala- Uganda for children who wish to spend their holiday time while playing with LEGO and learning STEM principles. The e2 Young Engineers Uganda opened two centres at the beginning of this week to enable children spend their holidays with us at a fee of Uganda Shillings 85,000 per week. This is just about $20. The Holidays will last for the next three weeks as parents are assured of their safety, fun and entertainment while playing with LEGO and building models. The first centre is located in Naalya along Naalya-Namugongo Road in the Eastern part of Kampala City. This centre is slowly attracting children from the surrounding areas of Namugongo, Naalya, Ntinda, Bweyogerere, Mukono, Bukoto, Naguru, Kamwokya, Kireka, Nakawa and Bugolobi. The second centre is located in Bunga in the southern part of Kampala City. It is situated at St.Augustine International University along Ggaba road, a serene environment for children and parents . It is known for its fancy lifestyle with an ultra modern swimming pool and spacious gardens with cool fresh air from the green surrounding. St.Augustine Montessori school provides a perfect environment for an exquisite study, party, be it a company or family party. “We chose to partner with St.Augustine international university and the Montessori school for its ambiance and easy environment for children who want to relax away while playing with LEGO as their parents are busy at work,” says the e2 Young Engineers Uganda Deputy Managing Director Maureen Rugyendo. Mrs Rugyendo encourages parents who are busy and have noting to use to occupy their children during these holidays to take advantage of these two offers. The centre targets children from the surrounding areas of Muyenga, Nambya, Kansanga, Bunga, Buziga, Muyenga, Namuwongo, Munyonyo and Kabalagala. “The children stand to benefit a lot more than they do when they spend their time jumping in bouncing castles and learning nothing,” promises Mrs. Sheila Kajwengye, the e2 Young Engineers Uganda Marketing Manager. Sheila promises more centres to open up around the city in the course of the program. The e² Young Engineers Uganda started in July 2016 and is currently operating its first Center Kampala City along Naalya – Kyaliwajala- Namugongo Road, Kira Municipality after Shell Petrol station. The aim is to nurture Uganda’s next generation of Scientists, Innovators, Creators and Entrepreneurs through teaching basic scientific principles to children aged between 4 and 15 using LEGO bricks. Ugandan parents, pre and post primary school owners are invited to explore the Young Engineers website www.westkampala.youngengineers.ug to learn more about what makes e² Young Engineers® programs the best enrichment program for pupils in the country. 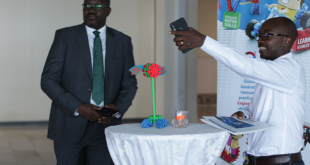 “Together we can create a technologically stronger nation by enabling early childhood learners appreciate Science, Technology, Engineering and Maths principles at an early age,” roars Mr. Arinaitwe Rugyendo, a founder at the programme. At e2 Young Engineers Uganda, a 4 year old goes through five key stages before emerging with a project at the age of 15. The programme helps the children to nurture innovation, creative thinking, problem solving skills, high order thinking skills, arigorithmic thinking, analyze engineering processes, acquire self-confidence and self efficacy skills, develop computer orientation skills and finally, children are enabled to become more knowledgeable in Maths and science, thus improving their school performance.